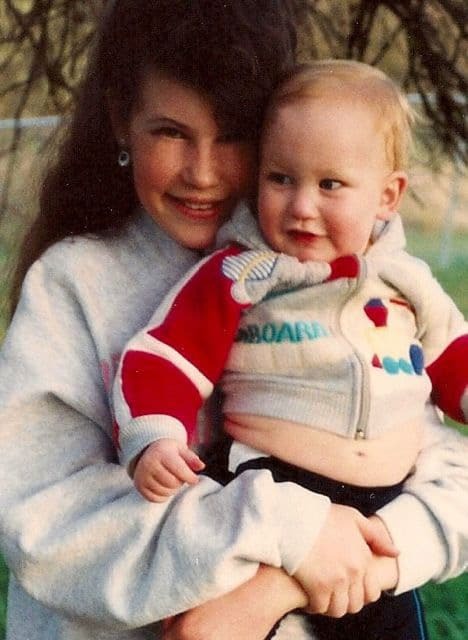 My brother Cody and sister KT were born when I was a teenager. They are my half-siblings, which is one of the reasons why there’s such an age gap between us. My brother Cody was the first to come along. It was strange and exciting, to be a teenager and suddenly have a baby in the house. I spent a lot of time with Cody in those early years; I was sort of like his built-in babysitter. Not long after he was born, he was given all kinds of nicknames… “Code-man,” “The Codester,” “Mr. Code,” etc. etc. I called him Coco. Cody and KT. Stinking cute, aren’t they? The best Coco story happened when I was 16 years old. I was cast as the Queen of Hearts in a local production of Alice in Wonderland. As soon as I walked onstage, Cody, then 3 or 4 years old, pointed to me and shouted, “Coco! Coco!” He waved and yelled and wouldn’t stop yelling. “Coco! I’m here! Coco, see me? Coco! !” I’m pretty sure I broke character. It was adorable. 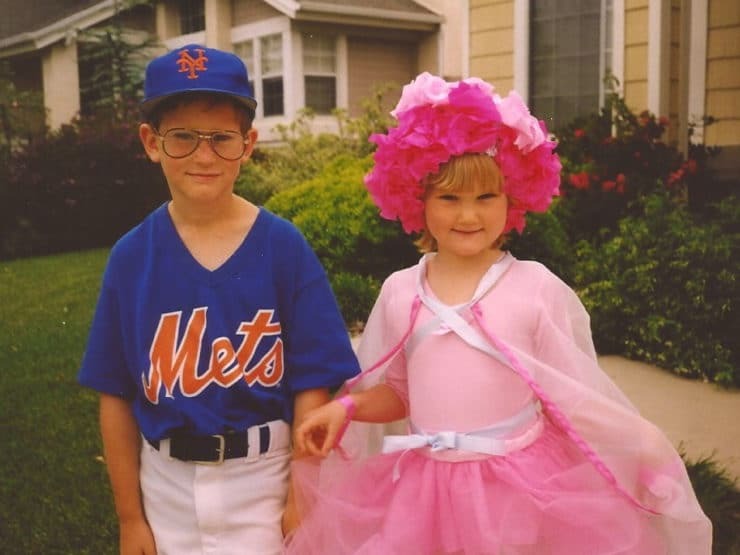 Cody and KT– Cody is on his way to a T-ball game, KT to a dance recital. Cody and KT are all grown up now, but they still call me Coco from time to time. And Cody still asks me to make him Coco Cookies, the treats I used to bake for them when they were little. 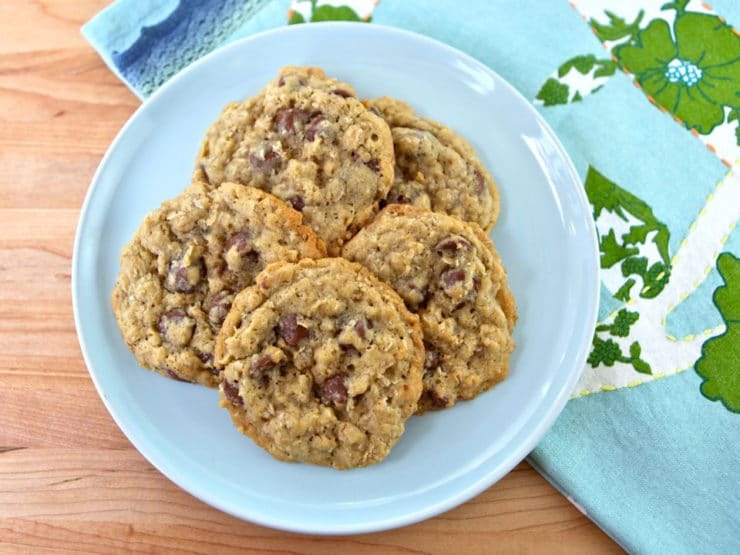 These chocolate chip cookies are soft, melty, buttery, and ultra chocolatey. I first found the recipe in our family cooking binder; I’m not exactly sure where it came from. The original name of the recipe was “Cowboy Cookies,” but I made them so often that they were renamed “Coco Cookies” by the fam. Over time, I learned how to make them by heart. I usually make them classic-style, with milk chocolate or semi-sweet chocolate chips, but I’ve been known to substitute raisins or add walnuts on occasion. Splurge on the chocolate and get a good quality brand (I like Ghiradelli). I don’t recommend subbing margarine… they are much better as dairy cookies. The added oats give them a wonderful texture. They are my absolute favorite chocolate chip cookies (my regular readers know I don’t say that lightly!). Dip them in an ice cold glass of milk and get happy. They’re the ultimate anti-depressant. I’m sharing these Coco Cookies today because it’s been a very long week. I think we all deserve a treat. Don’t you? 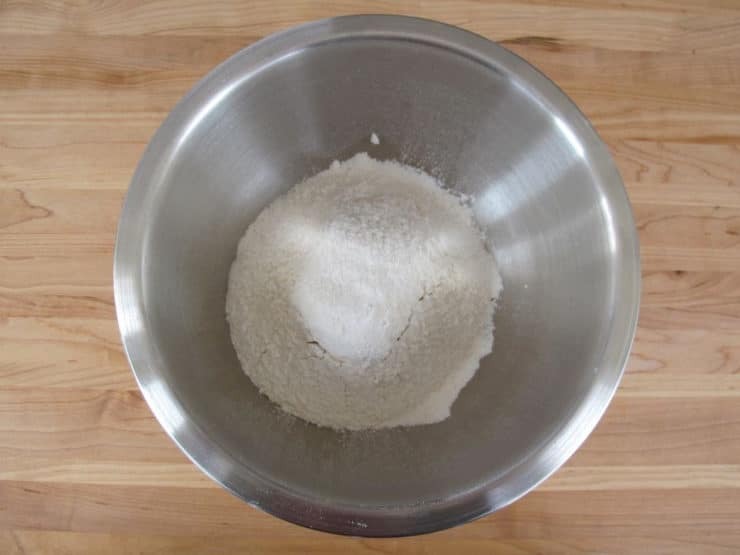 In a medium mixing bowl, sift together the flour, baking soda, baking powder, and salt. 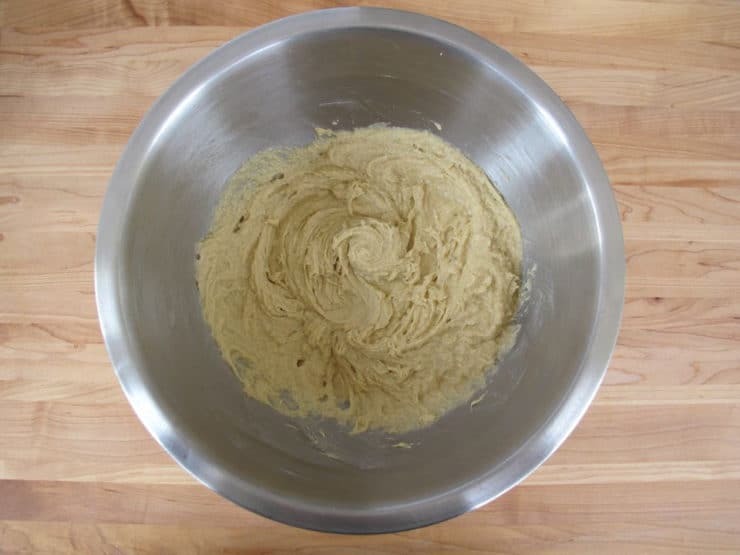 In a large mixing bowl, beat the butter and sugar together till light and creamy. 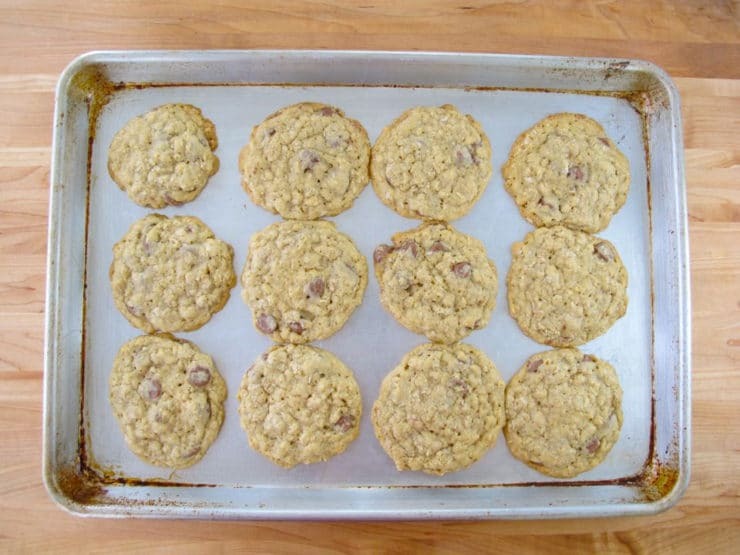 Use a wooden spoon or spatula to stir in the sifted flour mixture, then stir in the oats and chocolate chips till just combined. Do not overmix. 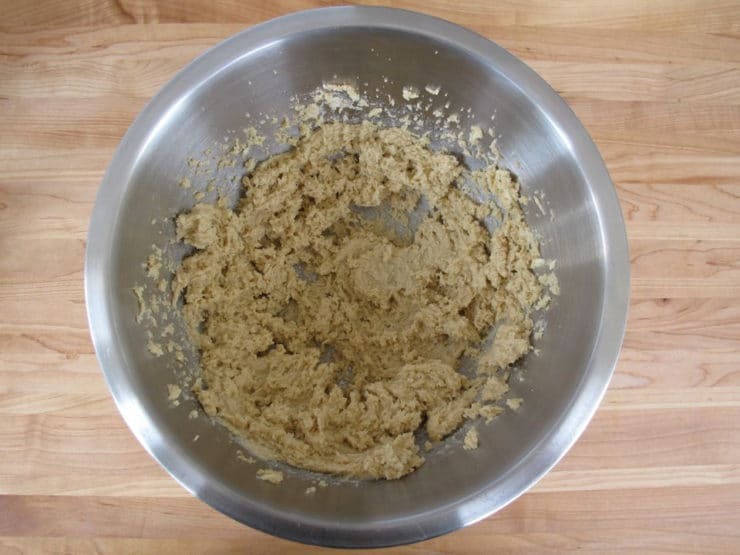 Place cookie dough into the refrigerator and let it chill for about 45 minutes. Preheat oven to 350 degrees F. Grease baking sheets with butter or nonstick cooking spray. 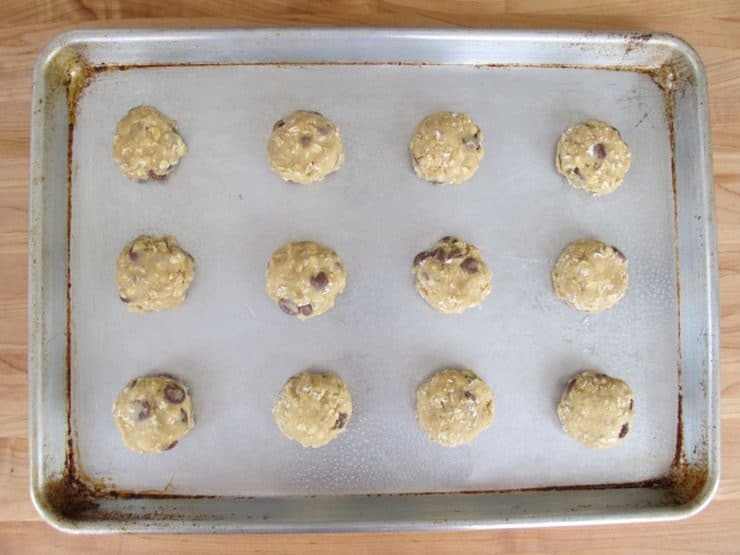 Drop the chilled dough in 2 tbsp balls onto the greased cookie sheets, making sure to space them 1 1/2 - 2 inches apart so they have room to spread. I like to use a small ice cream scoop for this step-- mine holds just about 2 tbsp of dough. I put 12 cookies per standard baking sheet (3 rows of 4 cookies). Place the cookies in the oven and let them bake for 14-17 minutes till the edges turn golden brown. Remove from the oven. Let the cookies cool on the sheet for 5 minutes. Use a spatula to remove the cookies and place them on a wire rack to cool completely. When baking sheets are cool, make a second batch. Made these again after a long break (what was I thinking??). Froze half the batter and made 38 not so big cookies from the other half (baking time – 12 minutes) – amazing! I loved these cookies! Made them this weekend for my family and boyfriend, everyone loved them! So happy you loved them Cora! Made them today and we all loved them – thanks for the recepi and the story. Hi Tori– these were delicious at the Food Bloggers LA meeting. I love the texture and crunch that the oatmeal adds to the chocolate chip cookie. They remind me of a favorite cookie from my childhood. Thanks for sharing the recipe. Oh the joys of nicknames and siblings 🙂 Cute pictures 🙂 They were lucky young siblings to have you to cook for them, make these cookies. It is a quite the change for a teenager, I assume. I have not found the perfect cookie recipe, so I do not have one that I frequent often. Definitely I can give this recipe a try to see if this is it! Well, Dud…palm slap to the forehead! >:/ Yep, there are those little cackleberries, right in front of room temperature! Heehee! Awesome. Must be an optical illusion of some sort!! I think it has something to do with the fact that you don’t normally see the word “eggs” in front of the words “room temperature,” so the brain just skips over them… or something. I like to bake with room temperature eggs because they tend to mix into batters and doughs more evenly than cold eggs. Glad they’re showing up for you! 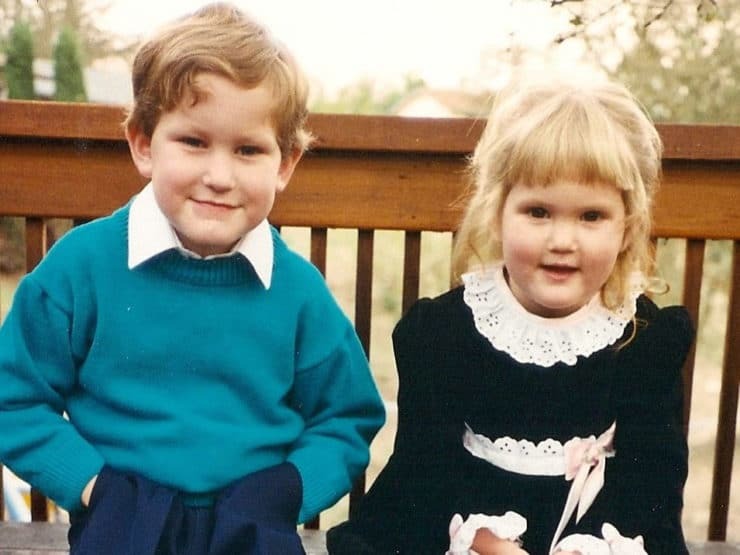 Adorable little rascals they were. 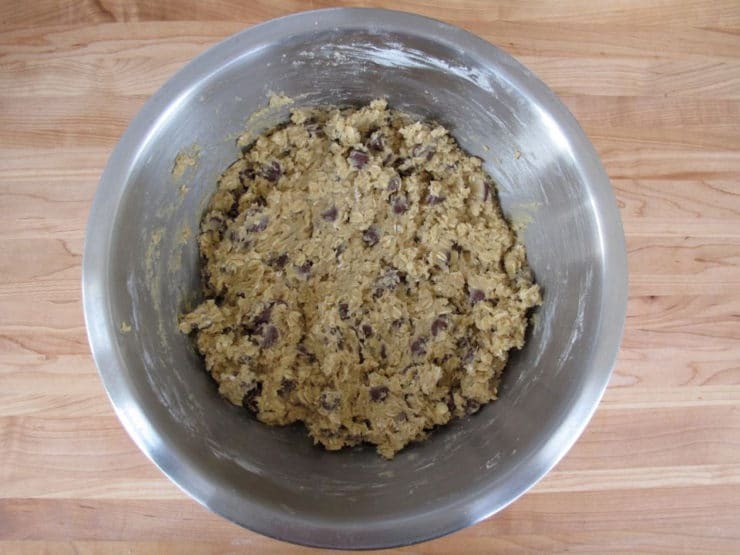 Yummy cookie recipe. Have a great week. Hi Tori! Interestingly enough, I can’t see the eggs in the ingredient list, but I do see the picture that calls for them to be added! Thanks to Hannah, Israel for noticing! 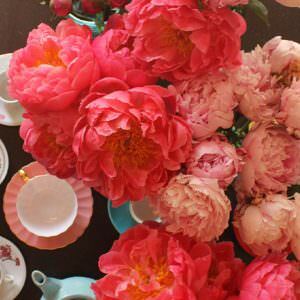 I really enjoy your blog and pictures and history, thank you! Cindy, very strange– I’m wondering if the fact that it says “room temperature” afterwards is making it difficult to see. Check again, and if you still don’t see it let me know which browser you are using. By the way, the recipe calls for 2 eggs at room temperature. Thanks! In the ingredient list, (like Hannah) I don’t see Eggs listed. How many are blended in with the butter and sugar? Hi Melani, Hannah did see the eggs eventually, her eyes skipped over them a couple of times– maybe the same is true for you? If not, let me know which browser you are using so I can troubleshoot. The recipe calls for 2 eggs at room temperature (letting them come to room temperature makes them easier to blend into the sugar and butter). Thanks! Your brother seems like a pretty cool guy! He’s probably really good at things. Can one use margarine instead of butter in order to make them Parve? They look soooooo decadent! Hi Naomi– I don’t love using margarine in these, but if you want to try it I recommend a non-hydrogenated high quality brand like Earth Balance Vegan Buttery Sticks. Cut the salt to 1/4 tsp if you use Earth Balance because it’s lightly salted. They really taste best with butter, though. Good luck! 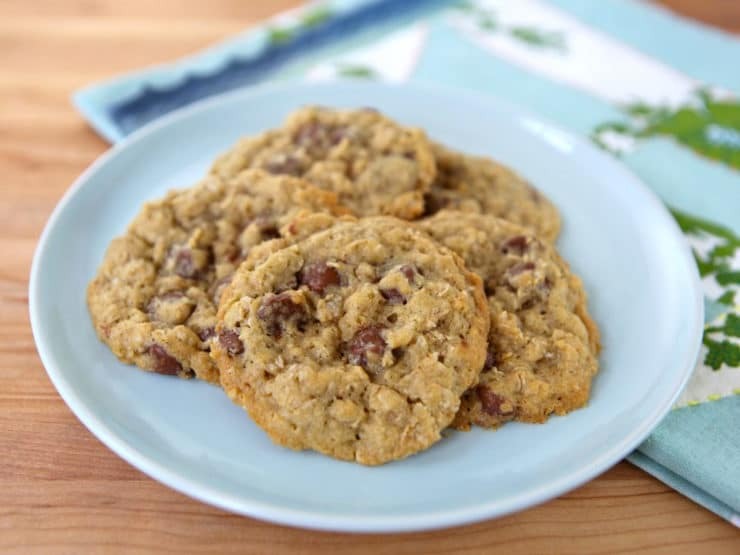 Tori – just took the cookies from the oven – they didn’t flatten like yours but they are soooo delicious – my husband is diabetic so I used Splenda for baking and sugar free chocolate chips – thank you for sharing your story and your recipe. Hi Phyllis, I’m so happy you enjoyed them and that the sugar free option worked for you! Thanks for sharing your experience, it’s helpful for others who want to try a sugar-free option. You can try flattening them with the bottom of a drinking glass before baking next time. My mom used to bake these delicious cookies for us regularly. Will have to remind my mom about these treats. She used to substitute raisins for the chocolate chips. Absolutely the best cookies ever. Will have to bake some for my family. Hard for me to bake cookies bec. my husband is on a low sugar and low fat diet . This is medically necessary. Wll create something though bec. these cookies are superb. Tori- thank you – I can see the eggs – my eyes must have skipped them somehow. Sorry and thanks for your quick reply! I was just talking to my 8 year old niece Sarah about making cookies yesterday either sugar cookies or Chocholate chip-guess what we will try your recipe today. thanks for a great recipe-anything with cowboy in it we like to try! 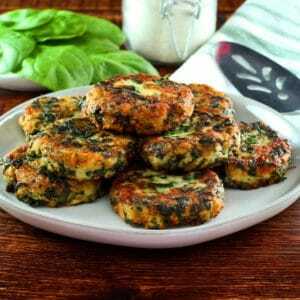 Those look great – no eggs required? 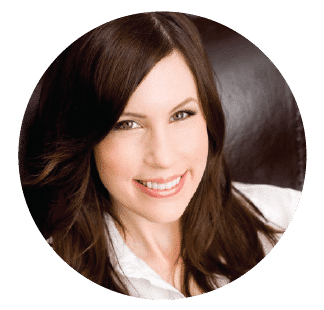 Hi Hannah– there are two eggs in the recipe. Do you see them in the ingredient list? Let me know if you don’t, I can see them on both of my browsers… thanks! I do not see the eggs in the recipe, either, but I will make note to add 2 eggs if I try the recipe. Thanks for sharing such a neat story! Hi Sarah, it says “2 eggs, room temperature” just below the brown sugar in the ingredients. 🙂 Glad you enjoyed the story!